CUSTOMER SATISFACTION IS OUR UTMOST PRIORITY!!! For any of your property or interior solutions, you can rely on our services..
GENUINELY PRICED MAIN ROAD FACING SHOP ON RENT. LESS THAN MARKET PRICE!! !HURRY DON'T MISS THE DEAL!! !SUPERB LOCATION!! !SECTOR-42 SEAWOODS (WEST). 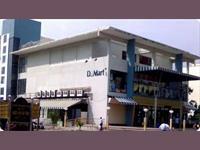 1 BHK FOR RENT OPP D-MART, SEAWOODS (WEST). 3 MINS WALKING FROM SEAWOODS STATION. SEMI FURNISHED 2 BHK IN THARWANI ROSEWOOD HEIGHTS, KHARGHAR. SECTOR - 10. OFFICE AVAILABLE ON RENT!! !ABSOLUTELY NO BROKERAGE WILL BE CHARGED!!! OFFICE SPACE ON RENT AT A VERY PRIME LOCATION.'' OPP D-MART'',SEAWOODS WEST.5 MINS FROM STATION. 2 BHK FOR RENT. BANG OPP D-MART. NEAR DON BOSCO SCHOOL AND 3 MINS WALKING FROM SEAWOODS STATION!!! Karave Nagar is located in Seawoods West, near to Palm Beach Road. It is an old village which has been here since ages.Local Maharashtrian occupy this place mostly and some laborers also who migrate from other parts of the country. Dronagiri is one of the best upcoming node of Navi Mumbai. (A future Gate Way Of Navi Mumbai), because of the upcoming sea link MTHL connecting Mumbai & Navi Mumbai. Best time to buy a property in this node. Also the Seawoods -Uran local line will connect Dronagiri to CST in the near future. Only node close to actual beach. Seawoods is one of the best and posh residential node of Navi Mumbai. With addition of the new flyover which connects east to the west, it has become the most sought after location of Navi Mumbai. Also the upcoming mall will add a totally different dimension to the locality and its real estate market. 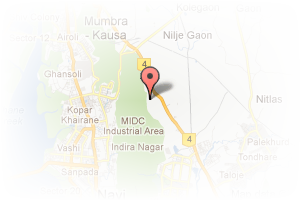 Address: Sector 42A, Seawoods, Navi Mumbai, Maharashtra, India. This Broker Profile page for "S.S. Enterprises" has been created by PropertyWala.com. 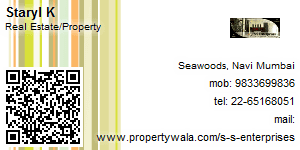 "S.S. Enterprises" is not endorsed by or affiliated with PropertyWala.com. For questions regarding Broker Profiles on PropertyWala.com please contact us.